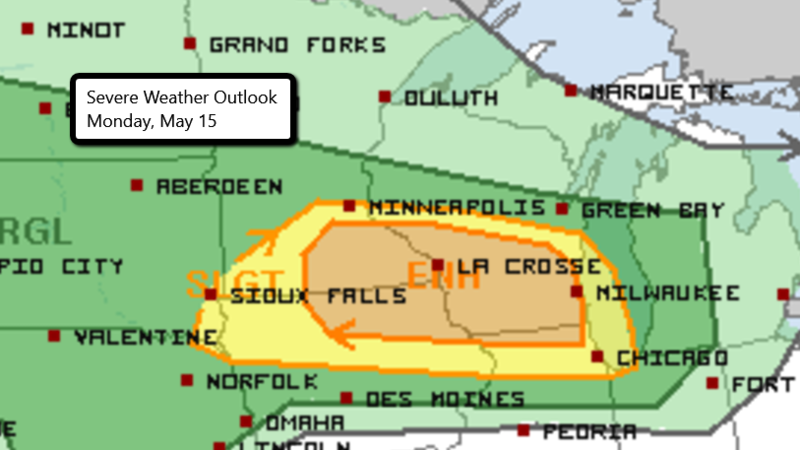 There is an Enhanced risk of severe weather today for parts of Minnesota, Iowa, Wisconsin, and Illinois. This includes Madison and Milwaukee in Wisconsin, Rochester in Minnesota and Rockford in Illinois. Chicago and the Twin Cities are under a Slight risk of strong storms. The greatest threat with storms developing this afternoon and early evening will be damaging wind gusts. 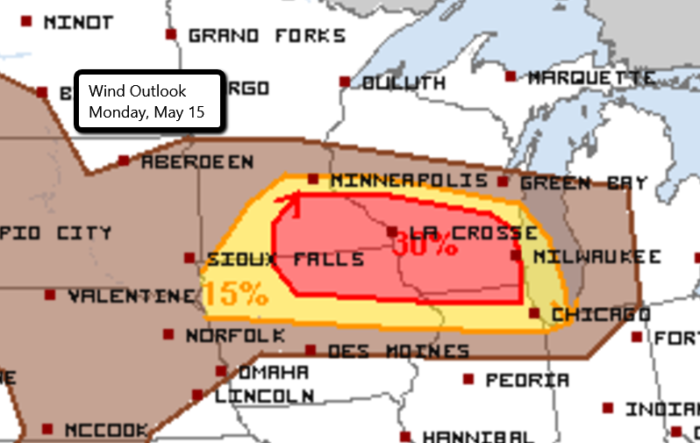 Isolated large hail events will also be possible. A tornado or two cannot be ruled out in the Enhanced risk area.